4 April 2019, London – Forbidden Technologies plc (AIM:FBT), the developer and seller of market-leading cloud video platform Blackbird, is pleased to announce that Gfinity, one of the world’s leading esports companies, has extended its Blackbird partnership for a further 12 months. 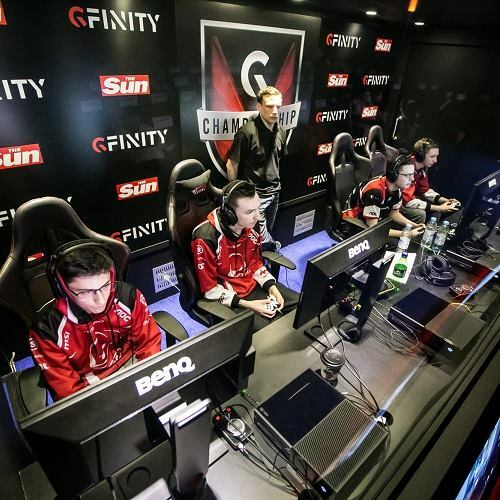 Gfinity designs, develops and delivers esports solutions for game publishers including Microsoft and EA Sports and rights holders such as F1 and the English Premier League. It specialises in creating entertainment-based content to support tournament and competition play, enabling deeper fan engagement with teams, the players and the game. Gfinity utilises Blackbird to rapidly log and clip video content from the live streams of its events that feature games like FIFA 19, Street Fighter V and Rocket League. Once logged and clipped using Blackbird, game highlights are distributed across multiple social channels including Gfinity’s gaming portal for fans worldwide to enjoy. Gfinity was Blackbird’s first customer in the rapidly expanding global esports industry when it used the technology to create highlights of Gfinity’s Elite Series, filmed at the Gfinity Arena, which features the world’s leading esports teams. Blackbird has subsequently expanded its involvement in the esports industry into the US where it was used to drive fan engagement for the live pro-celebrity Fortnite event in Los Angeles in 2018. Blackbird is exhibiting on the Microsoft booth (#SL6716) at this year’s NAB Show in Las Vegas from 8 to 11 April.